Our stunning freestanding Curved Starfire Crescent is made from 3/16" clear starfire curved crystal with polished edges. 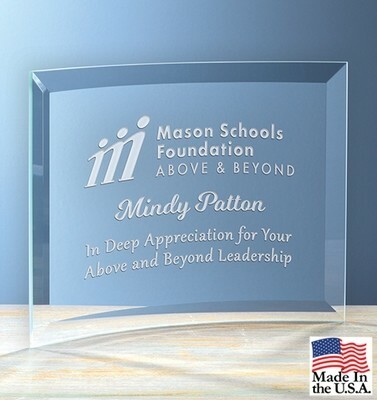 This stunning award is available in three sizes for acknowledging all levels of achievement and comes packaged in an attractive gift box. Proudly made in the U.S.A.